What if Christians became the best advertisement for Jesus? Jesus said his followers would be a light to the world and a city on a hill--a warmly inviting, neighbor-loving, grace- and truth-filled destination for all. He envisioned his followers as life-giving neighbors, bosses, employees, and friends, the kind of people who return insults with kindness and persecution with prayers. Rooted in biblical convictions, they would extend love, empathy, and care to one another as well as to those who don't share their beliefs. Over time their movement would become irresistible to every nation, tribe, and tongue. 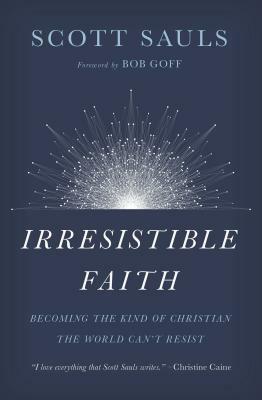 Irresistible Faith is a blueprint for pursuing this vision in our current moment, of redeemed individuals and a renewed community working for a restored world. This is a way of being that gives a tired, cynical world good reason to pause and reconsider Christianity--and to start wishing it was true.